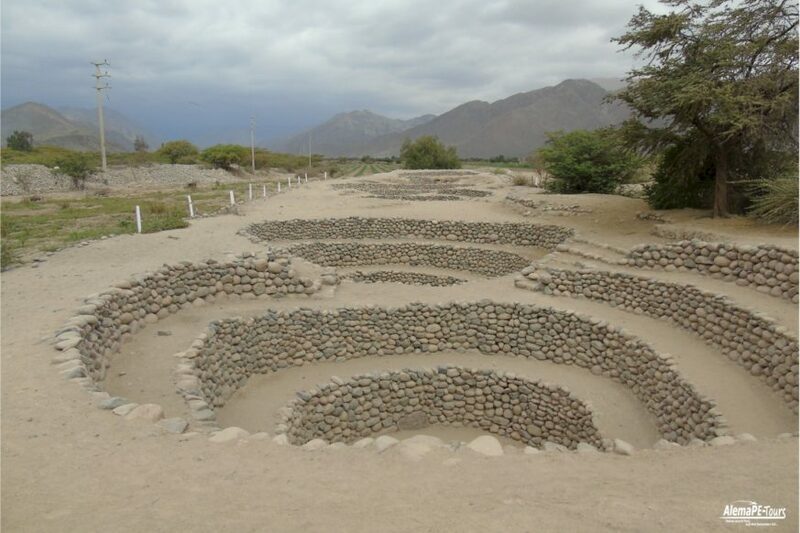 The aqueducts of Cantalloc, their original name are Cantayo aqueducts. 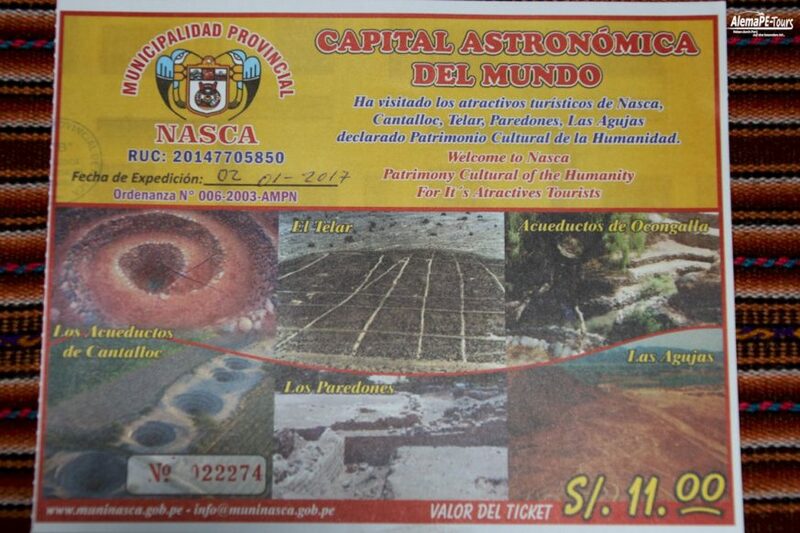 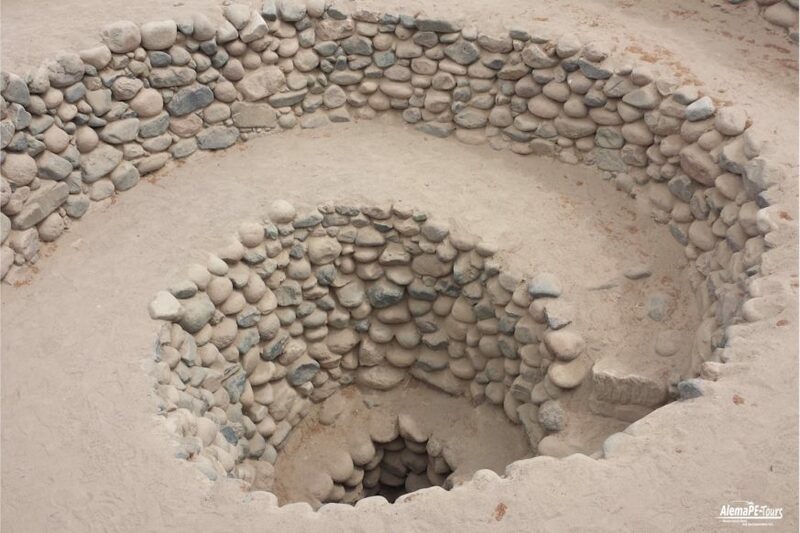 They are located 4 km north of the city of Nasca. 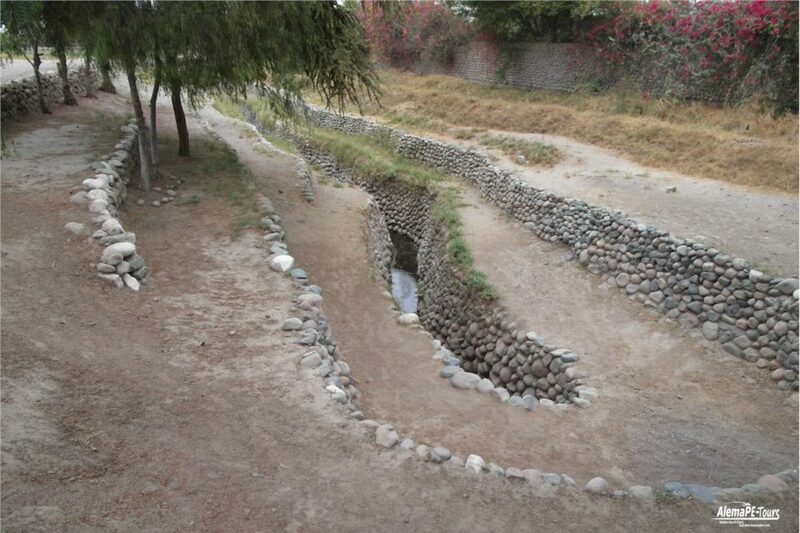 This design of the aqueducts is attributed to the Nazca culture (early Middle Ages 200 AD – 700 AD). 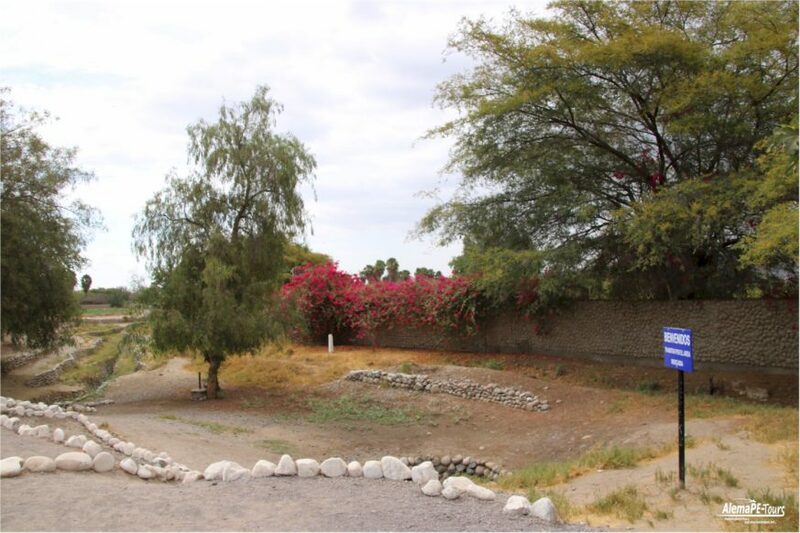 Of the 46 aqueducts found, 32 are still in operation. 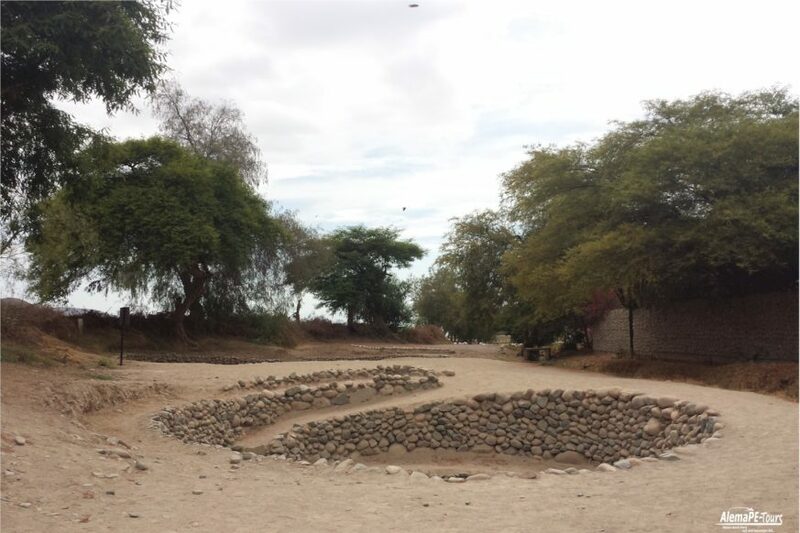 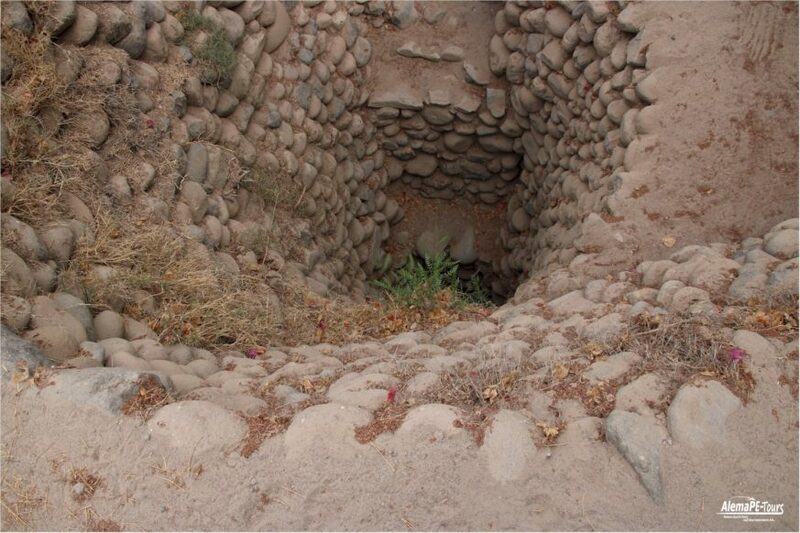 They were built with stone slabs and Huarango trunks to extract groundwater. 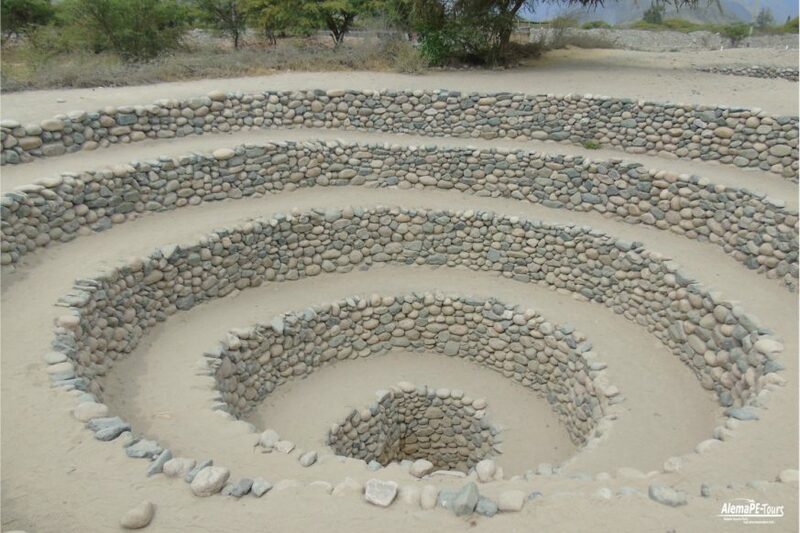 The “Puquios” attract attention, ventilation shafts that reach down to the spiral underground and receive water of better quality. 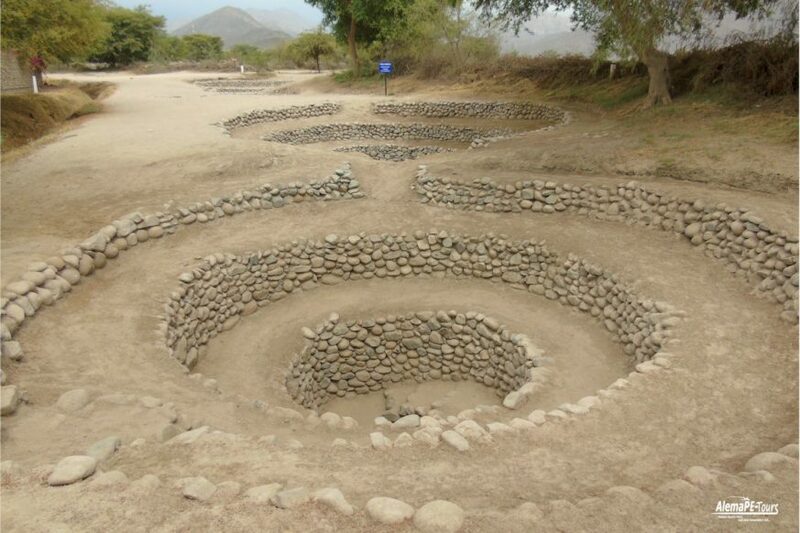 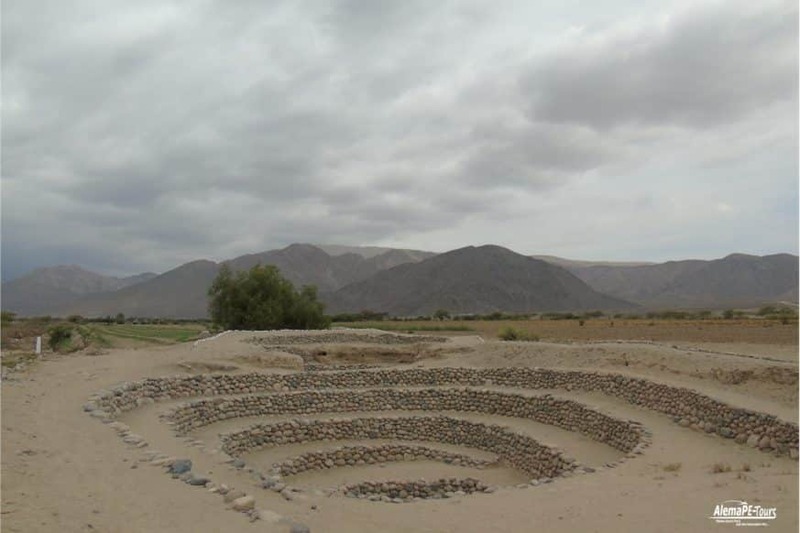 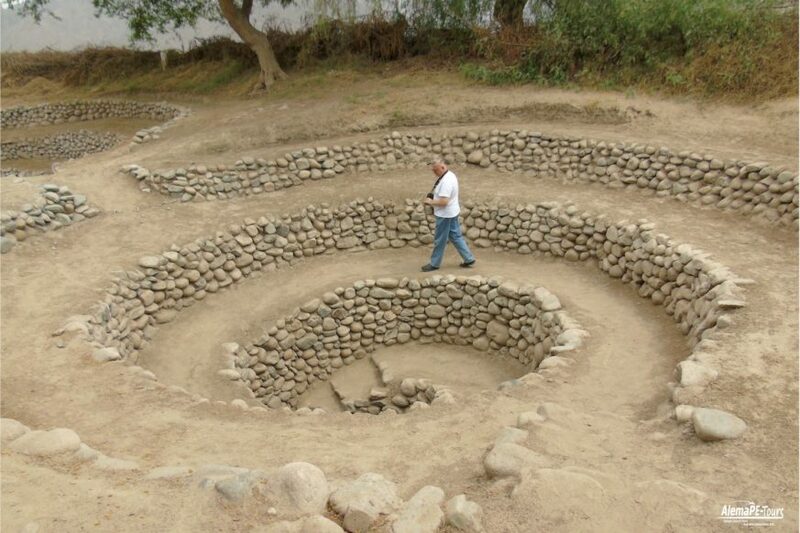 The Geoglifos de Cantalloc, are other cultural manifestations of the ancient Nazca society. 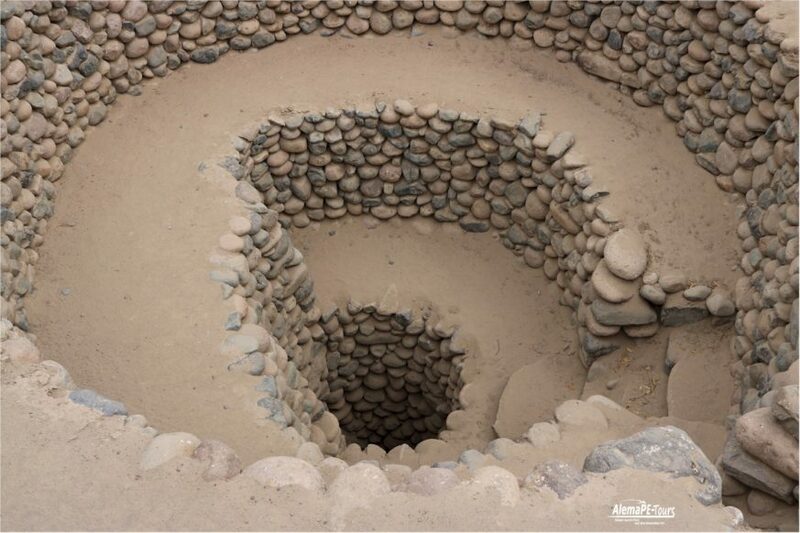 They are part of a system of aqueducts of the same type (called “Puquios”) built about 1,500 years ago by the pre-Inca civilization of Nasca. 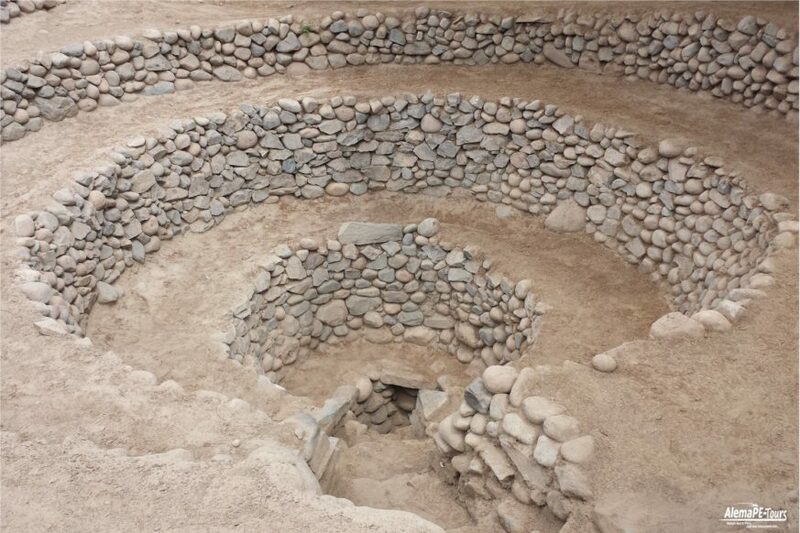 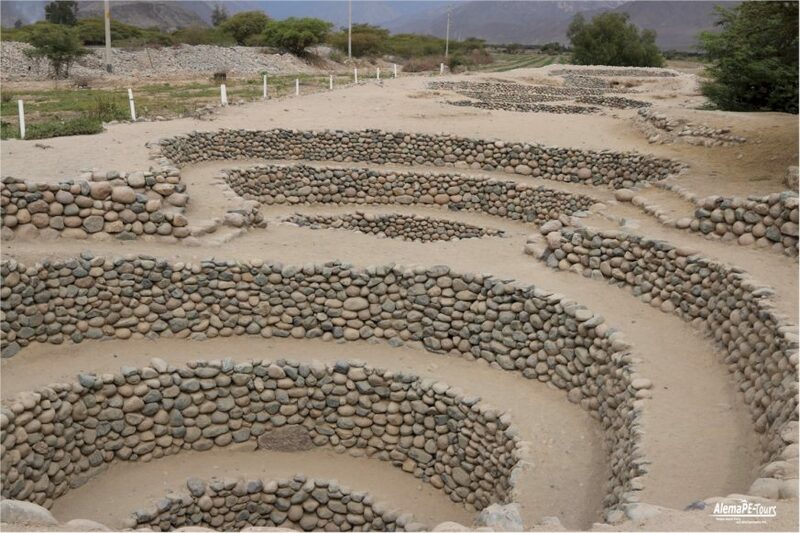 The aqueducts provided the water supply to the city of Nasca and the surrounding fields, which allow the cultivation of cotton, beans, potatoes, corn, etc. 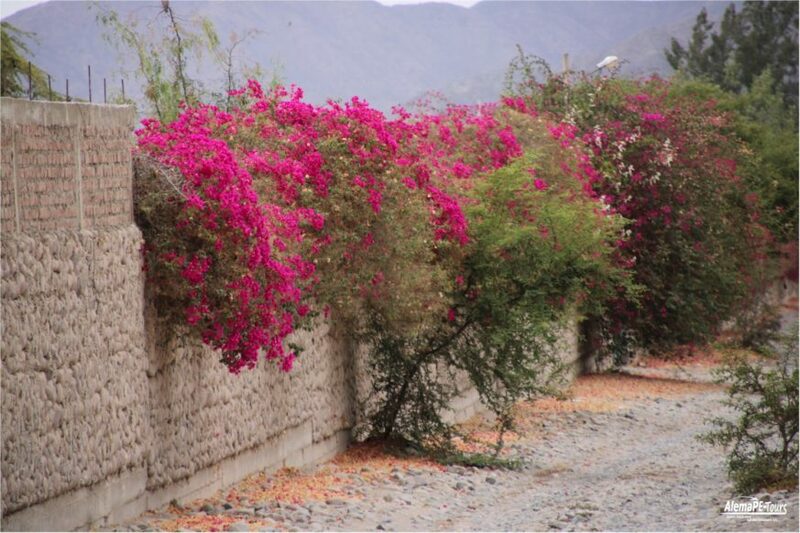 in a dry region. 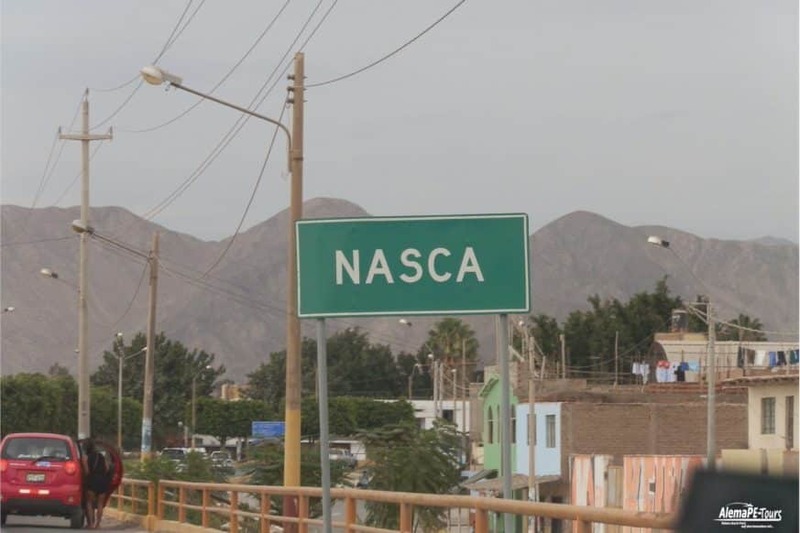 Nazca is a Peruvian city in the central-south region of Peru, the capital of the province of Nasca, on the right bank of the Aja, a tributary of the Rio Grande. 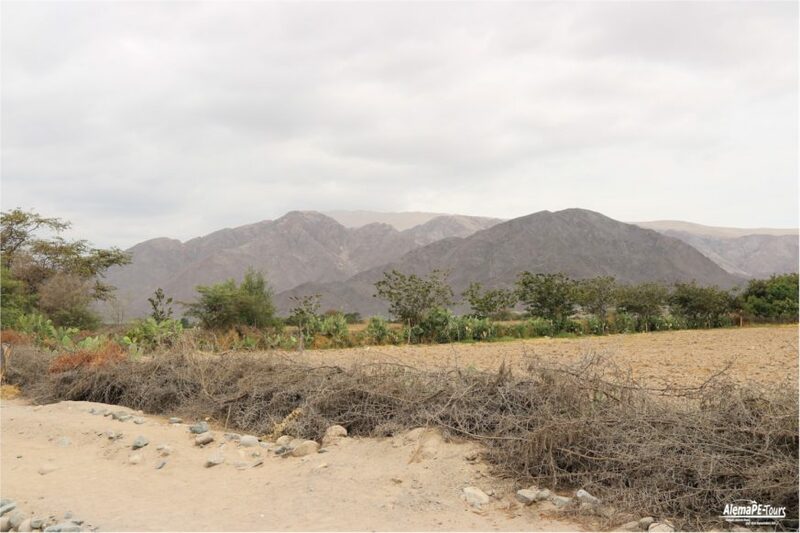 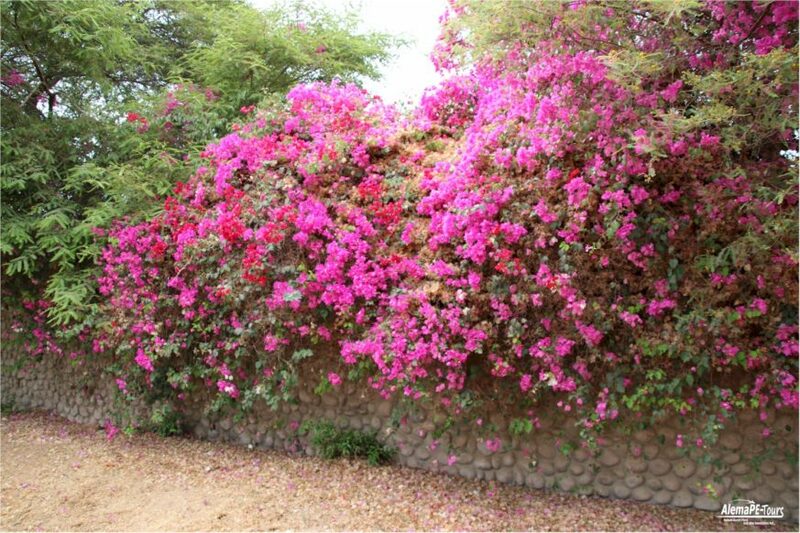 Located 450 km south of the city of Lima, in a narrow valley at 520 meters above sea level.